Amanda here with you today continuing our regular monthly 'Creative Cardmaking' post that we began last March when we restructured our timetable. 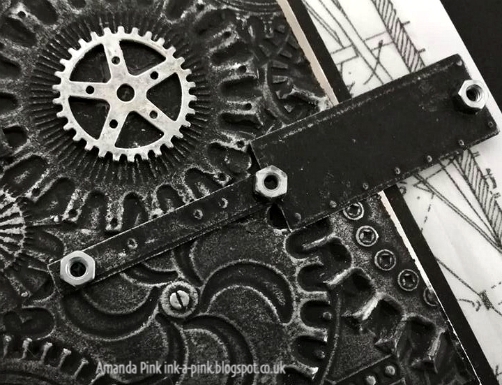 The general idea is that we as Creative Guides will share our ideas for putting together a card in keeping with our preferred genres - vintage, shabby, mixed media, art journaling, industrial, timeworn or steampunk. 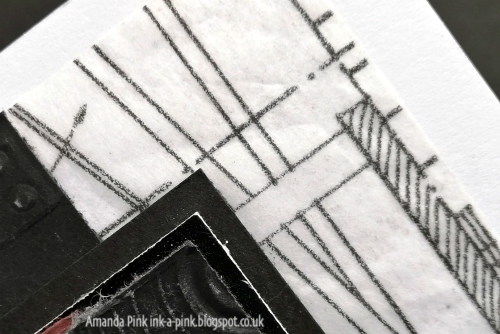 So today I am sharing a monochrome card that has an industrial feel. It's real quick and easy to make so perfect for those occasions when you require a card quickly. I guess given its style it would be considered an ideal card for a male recipient but I have to say I would be more than happy to receive a card like this and I'm most definitely not male!! 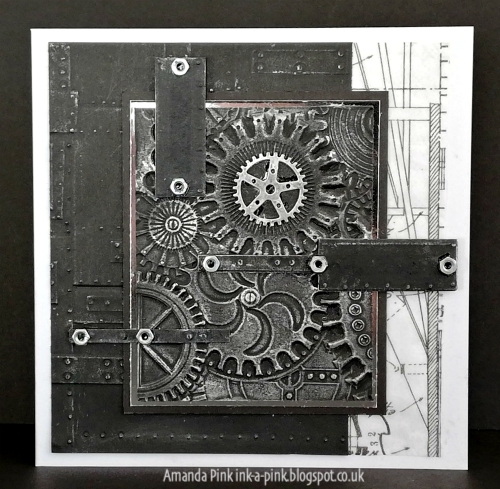 I actually made this card last year not long after Tim Holtz released his 3D Texture Fades embossing folders (wow that seems like so long ago now) and in my keenness to 'test drive' a couple of the folders this card came about but unfortunately I failed to capture process shots- sorry! 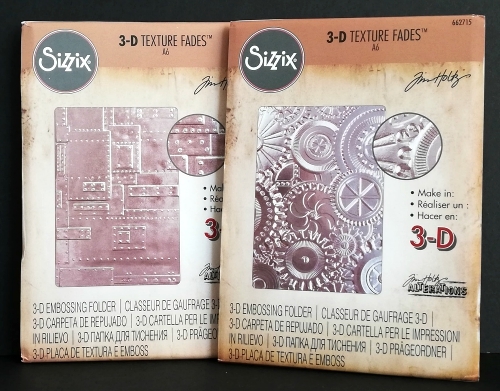 For those of you who aren't familiar with the 3D embossing folders (though I'm sure most of you are by now) its worth watching Tim demoing how to use them here to ensure you will get the best results. 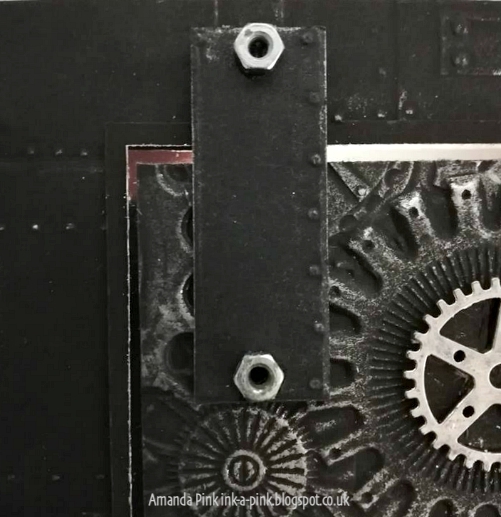 I embossed three pieces of black cardstock, as per Tim's instructions one with the 'Mechanics' folder, two with the 'Foundry' folder. 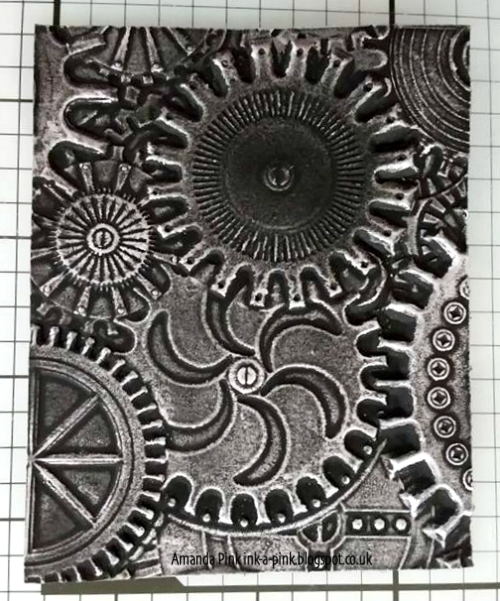 To highlight and enhance the depth and dimension of the embossing I applied silver gilding wax over the embossed patterns using my fingers. After adhering this panel to a double mount of metallic and black cardstock I began bringing my card design together. and to the left hand side I adhered one of the 'Foundry' embossed panels. The mounted 'Mechanics' panel was then adhered on top as the focal feature. and one with a bit of both! All are embellished with a few of my much loved hex nuts. The deeply embossed gear/cog on the top right of the 'Mechanics' panel is also embellished with a metal gear to finish off. I'll leave you with a more 'arty' shot of the finished card. I hope you have enjoyed your time here with me today and that maybe I have offered some 'Creative Card Making' inspiration. Thanks for taking the time to stop by and be sure to pop by next Friday when we begin our new challenge. Wishing you all a lovely weekend and if like me you reside in the colder climates be sure to stay warm and toasty! You are right, why mechanics should be given only to males? I love artistic mechanics and your card is fabulous! Wonderful! Just love the design and fabulous texture! Your card in that industrial style looks gorgeous, all is well placed and in harmony. I like that much. 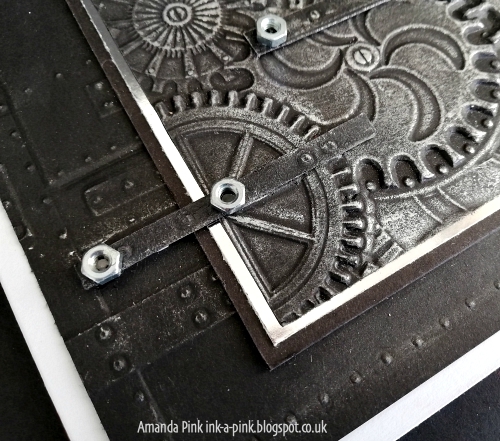 Amanda, you've made a fabulous 'masculine' card using these two folders. I love the addition of the bars and hex nuts that really bring this card to life. Great tutorial, too! Hugs! 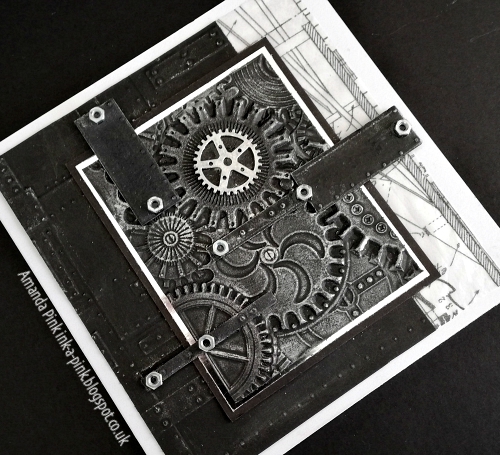 This monochrome industrial card is really magnificent, and it's so great to see the steps which brought it all together. A terrific card inspiration post.